NOT MINE. In Calif. 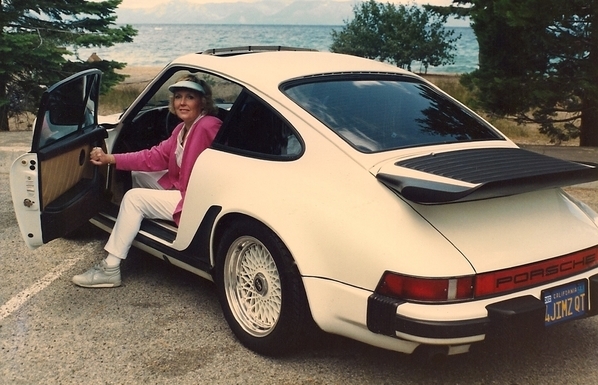 I have always liked the British developed Covin 911 kit. They are very rare in US but a big following in the UK. Here's one that had a Ford Pinto engine and now 1600 cc VW. Pinto engine pieces included so not a huge stretch to install a German Cologne Ford 2.8L V6 and really have a screamer! That's pretty cool! Saw one several years ago for a lot less. 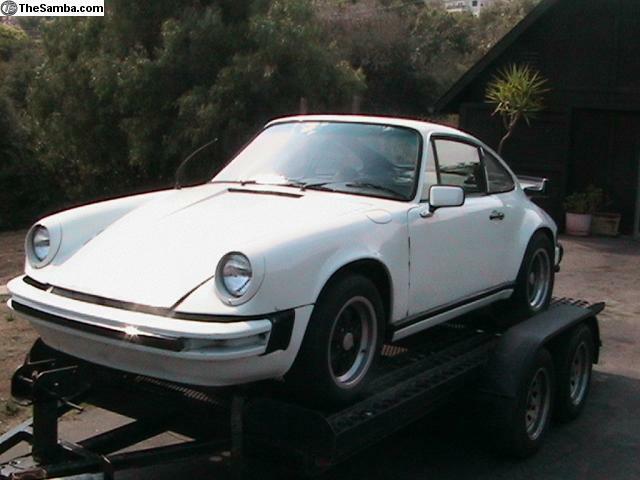 Considering the outrageous prices for early 911s today this could be a fun alternative. I like it, but considering the response we get from the 356 guys can you imagine what the 911 guys would say, after all they think theirs are the only true Porsches! Looks extremely Subeable to me. Thats one Subaru conversion I could get down with. I bet there is more room to stuff the bigger turbo motor in there! I'm going to jump in my way back machine and offer Jim $12k for his. Can resell today for $80k easily. Wait a minute Jim, I see the license plate and the hottie getting out, I don't think that was your car! 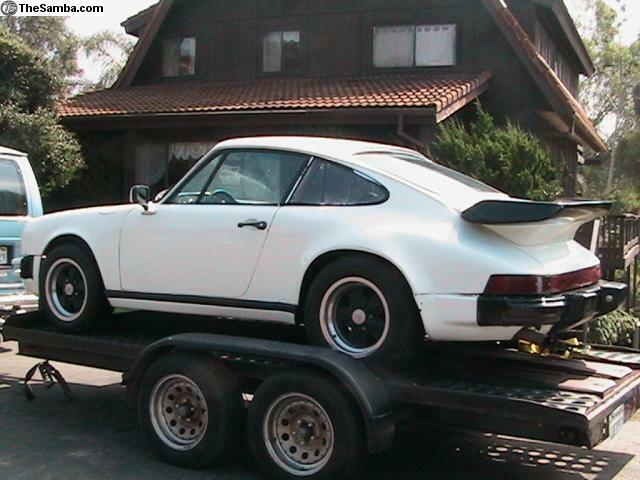 Every time I see Jim's white 911 I'm reminded of the one (almost a twin to it) that shows up at the PorscheFest in Boston from time to time, only that one has a Corvette LS2 V8 stuffed back there. Not something I would do compared to a Subaru WRX motor, but it certainly looks cool. Legend has it that there are a lot of 911 V8 conversions out there. Renegade Hybrids is a big source for V8 Conversions. Surprized we don't see more V* 944's. They are costly to maintain but with a small block V8 would be fun car. I think there have been more 911 Subi conversions than 356's. LOTS of opinions online regarding sacrilege vs. "yeah, go for it" positions. Usual reason to move forward is the cost difference between rebuilding an a/c 911 vs. Subi conversion install.